I've been CRAZY about this bag forever! I never thought I'd have the possibility of getting one for ages, having to save up for my accessories, project after project. With my Chloe Marcie debacle still unsolved, I finally had the chance this weekend to return the bag. I decided against ordering another Chloe, since I was really worried about the hobo strap. I thought I would feel comfortable with the hobo style, but in all reality, I wasn't. So why get something that I will be afraid of using? The Chloe was a graduation gift from my parents, and I was reluctant to return it but since it was marred by defects there really wasn't another choice. I decided to make a switch! 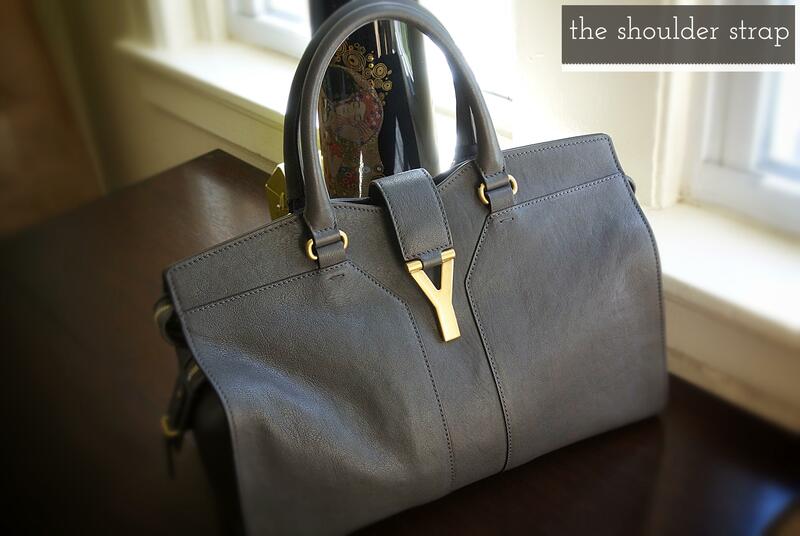 After exchanging the bag, I walked away with the medium YSL Cabas Chyc tote in gray! The store's stock had been quickly depleted and the YSL Cabas was the last medium in the store; I was told they weren't going to replenish anytime soon. I was on the fence about returning the Chloe for a Proenza Schouler, but for such a trendy, casual bag, I didn't think it was worth it. The Cabas is definitely an iconic tote that will be timeless. The Proenza overall was too casual for me, and I haven't heard good things about bag integrity--a MUST for me after this poor Chloe experience. I had always considered a large in the Cabas, but it is a little too large for me, despite my love for big bags. The medium is the perfect size for a chic tote. Maybe it's not the bag to tote around my work and school materials, but there are other bags in my collection suitable for that task. A bag for every occasion, right? This graduation gift disaster made a 180-turn into a beautiful, new piece in my collection--of a bag I lusted after, no doubt. Do you have any bad-bag to good-bag stories?